Porte de Paris, August 14, 1914. It is always a bit disconcerting to be reminded that the distant past existed in brilliant colors and not simply in the sepia tones of of the black and white photos we are accustomed to seeing. Some of the images go back as afar as 1909, a few are as recent as 1920 even 1930. The great majority are all from 1914. Curiouseggs reposted them from Paris 1914. 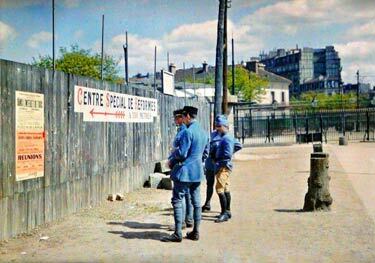 One Feedback on "Color Photographs of 1914 Paris"